Memory loss can be partial or total. Most memory loss occurs as part of the normal aging process. However, memory loss may also occur as a result of severe emotional trauma or due to brain damage following disease or physical trauma. Memory loss can be described as amnesia, forgetfulness, or impaired memory. Memory is often classified as immediate (retention of information for a few seconds); short-term (retention of information for several seconds or minutes); and long-term (retention of information for days, weeks, or years). In short-term memory loss, patients can remember their childhood and past events but fail to remember events that happened in the past few minutes. In long-term memory loss, patients are unable to recall events in the remote past. Depending on the cause, memory loss can be sudden or gradual, and it can be permanent or temporary. Memory loss resulting from trauma to the brain is usually sudden and may be permanent or temporary. On the other hand, age-related memory loss, such as in Alzheimer’s disease, occurs gradually and is usually permanent. It is barely noticeable at first, but progressively gets worse. In most cases, memory loss is temporary and usually affects memories relating to a portion of a person’s experience. However, severe physical brain trauma, such as that following a severe head injury, can cause total (global) memory loss. Some patients may temporarily lose memory and consciousness, then fully recover after the event. Aging. A person loses nerve cells at the rate of 1% per year, even without a disease associated with memory loss, such as Alzheimer’s disease. The body stops growing new nerve cells after age 25. Therefore, by the time a person reaches 70 years of age, he or she will probably have lost at least one-third of his or her memory functioning. Nutritional deficiency. Not enough thiamine (vitamin B1), vitamin B12, and/or protein contributes to memory loss. Depression. Depression can cause memory loss at any age. This is one of the main reasons for forgetfulness in the elderly. Depression-related memory loss is a treatable condition. Diseases. Memory loss can result from such chronic disease conditions as diabetes or hypothyroidism. Oxygen deprivation. Such conditions as severe head trauma, surgery, strokes, or heart attacks cause a sudden reduction of oxygen to the brain, which causes widespread death of nerve cells and significant memory loss. Structural abnormalities in or damage to the parts of the brain associated with memory formation. As of 2003, researchers have identified the areas of the brain known as the hippocampus and the orbitofrontal cortex as the primary locations of memory formation. Free-radical damage. Free-radical molecules destabilize other molecules around them, resulting in damage to the body at the molecular level. Free-radicals can damage the blood-brain barrier, a membrane that separates the circulating blood and the brain. A weakened barrier may not be able to prevent toxic chemicals from entering the brain. 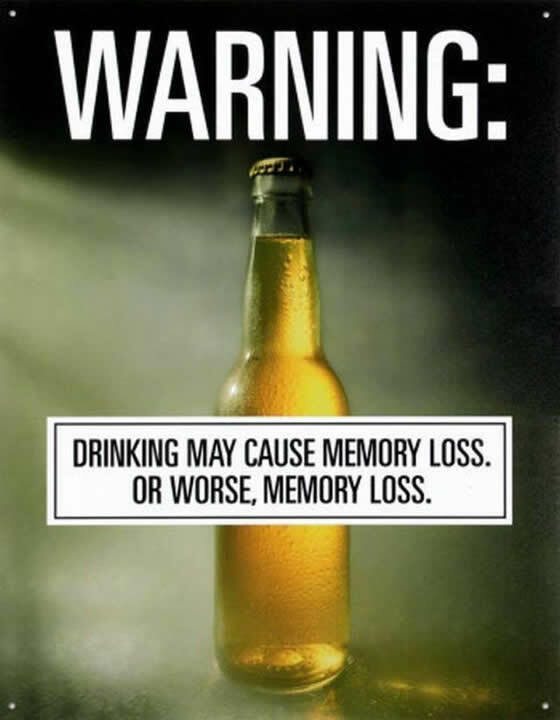 Widespread brain damage, accelerated cell death, and memory loss occur as a result. Chemical poisoning. Daily exposure to toxic chemicals such as alcohol, tobacco, and illicit drugs (heroine, cocaine, and amphetamines) destroys brain cells at a rapid rate. Other environmental toxins, such as lead and mercury, can penetrate the blood-brain barrier. Once inside the brain, these heavy metals kill nerve cells. This helps explain why exposure to heavy metals has been linked to memory and learning problems in children. Even though aluminum is not considered a heavy metal, its accumulation in the brain is believed to contribute to Alzheimer’s disease. Central nervous system (CNS) infections and inflammation of the brain. Encephalitis (an inflammatory disease of the brain) can result in the death of nerve cells, which can result in significant memory loss. CNS infections such as toxoplasmosis and neurosyphilis can also cause significant brain damage and memory loss. Stress. Emotional or physical stress stimulates the release of stress hormones such as cortisol and adrenaline. Constant exposure to stress hormones results in nerve-cell death and memory loss. Sensory overload. When a person is trying to do too many tasks or worry about too many things at the same time, the brain is overloaded with information and cannot process short-term memories. Therefore, if a person is trying to remember a lot of information, he or she tends to forget car keys or scheduled appointments. Low blood sugar. Nerve cells require glucose (sugar) to generate energy. If there is not enough glucose in the blood, nerve cells starve and die. Excessively low blood sugar can send a person into shock and/or into a coma. Genetic factors. Several genes that increase a person’s risk of developing Alzheimer’s were identified in 2002. In addition, Down’s syndrome, which is caused by an abnormal form of human chromosome 21, is characterized by loss of memory relatively early in life, often in the patient’s 30s or 40s. Seizures. Prolonged seizures, such as in patients with epilepsy, can cause significant memory loss. Severe emotional trauma. Extreme emotional trauma has been associated with sudden amnesia. Dissociative amnesia is a type of amnesia that occurs when the brain splits off, or dissociates, extremely distressing memories from conscious recollection. Low estrogen levels in postmenopausal women. Women often report a significant decrease in memory function immediately following menopause. To find the underlying cause of memory loss, your physician will obtain a detailed medical history, which documents the pattern, symptoms, and types of memory loss. 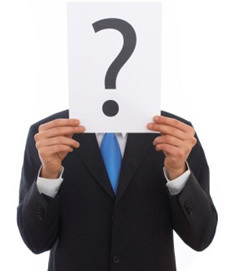 He or she will also inquire about contributing factors that may worsen or trigger memory loss. A routine physical and detailed neuropsychological examination with a focus on memory function will be conducted. In addition, he or she will order several diagnostic tests. Tests used to pinpoint the exact cause of memory loss may include neuroimaging; electroencephalography (EEG) for patients with seizures; blood, cerebrospinal fluid, and tissue analysis to rule out specific diseases; and cognitive tests for gauging the patient’s recent and remote (long-term) memory, and possibly his or her attention span, judgment, and word comprehension as well. The most common brief test given to evaluate a person for memory loss and other aspects of cognitive function is the Mini-Mental Status Examination, or MMSE, which is also known as the Folstein. Available neuroimaging techniques include computed tomography or CT scan, magnetic resonance imaging (MRI), positron emission tomography (PET) and single-photon emission computed tomography (SPECT). A CT scan can detect structural abnormalities, such as brain tumors or lesions. For detection of widespread loss of neurons associated with aging or degenerative diseases, an MRI, PET, or SPECT test can be run. They can show the severity and extent of nerve damage. These tests can also help the doctor pinpoint the exact cause of the memory loss. A PET scan is especially useful in that it allows the doctor to track and record which memory centers are stimulated in live, working brain tissue while a person is functioning. Avoid eating foods that contain such additives as artificial sweeteners, monosodium glutamate (MSG), preservatives, and artificial colors. These chemicals can accumulate in the body and become toxic, causing brain damage and memory loss. Eat organically grown foods that are not contaminated with pesticides or insecticides. These toxic chemicals can affect nerve function and cause memory loss. Limit alcohol intake and quit smoking. Drink only filtered water to avoid toxic chemicals in the water system. Eat a low-fat, high-fiber diet with emphasis on fresh fruits and vegetables. Raw fruits and vegetables are the best sources of the vitamins, minerals, fiber, and antioxidants that the body needs for detoxifying. Antioxidants also protect and support brain function. Get enough protein. Protein is necessary to maintain healthy muscles, organs, and nerve cells; and it also helps maintain blood sugar levels. Eat cold-water fish, which are a good source of omega-3 fatty acids. Omega-3 fats are believed to reduce the risk of strokes, blood clotting, and heart attacks. These are major causes of sudden memory loss in the elderly. L-Acetylcarnitine (LAC). 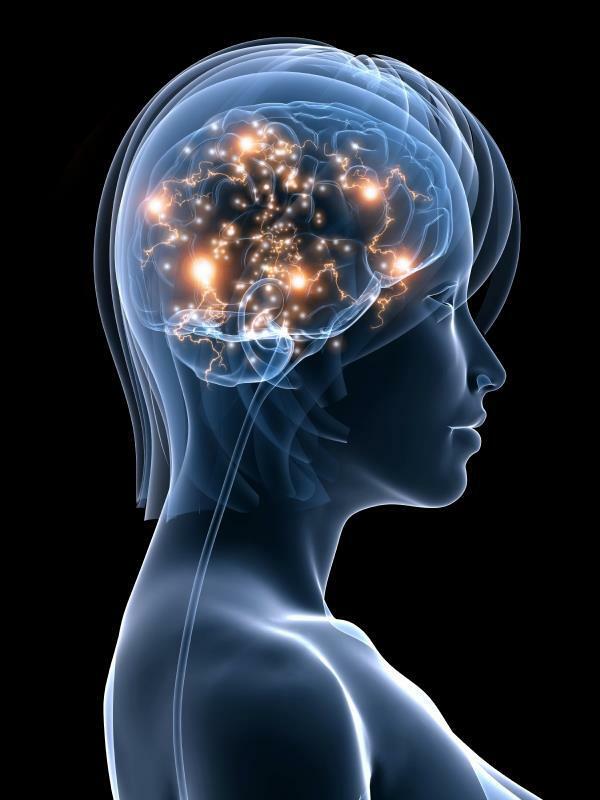 Studies have shown that acetylcarnitine can improve memory function in the elderly. It can even reverse memory loss in some patients who have early Alzheimer’s disease. Phosphatidylserine (100 mg three times per day). Phosphatidylserine probably works by lowering stress hormone levels and increasing the availability of acetylcholine. This supplement may help improve brain function in patients suffering from age-related memory loss. Vitamin E (400–800 IU per day). A strong antioxidant, vitamin E protects memory cells from free-radical damage. Omega-3 fatty acids. Flaxseed oil (1 tablespoon per day) and fish oil capsules are good sources of omega-3 fatty acids. Omega-3 enriched eggs are available in some places. Thiamine (3–8 g per day). Treat a vitamin B1 deficiency with supplements. Thiamine/vitamin B1 is a good antioxidant and may also improve mental function in Alzheimer’s patients. Methylcobalamin (1,000 micrograms twice daily). Methylcobalamine is the preferred supplemental form of cyanocobalamin, or vitamin B12. Many Alzheimer’s patients have been found to have a vitamin B12 deficiency. Ginkgo biloba extract (24% ginkgo flavonglycosides: 80 mg three times per day) is the herb most well known for its ability to improve memory function. Ginkgo works by improving the circulation of blood to the brain. It is also a strong antioxidant. Therefore, it can slow down memory loss associated with normal aging or due to degenerative brain diseases such as Alzheimer’s disease. Several studies have demonstrated that ginkgo helps improve thinking and concentration in patients with Alzheimer’s disease. Gotu kola (Centella asiatica: 70 mg taken twice daily). This herb helps improve memory by increasing blood circulation to the brain and keeps blood vessels strong and healthy. Ginseng. Studies have shown that ginseng can improve memory and enhance learning ability. The recommended dosage of Korean ginseng is 3–9 g per day. Because ginseng may elevate blood pressure, patients with heart disease or high blood pressure should consult with their doctor before using this herb. Brahmi (Bacopa monniera. Brahmi is a herb native to India that is used in Ayurvedic medicine and Japanese medicine as a nerve tonic and treatment for insomnia. It appears to improve a person’s ability to retain new learning. Brahmi, which is sometimes called bacopa in Western countries, contains two compounds known as bacosides A and B. It is thought that these chemicals help to prevent memory loss by improving the efficiency of impulse transmission between nerve cells in the brain. An Australian study published in 2002 reported on the effects of brahmi on 76 human subjects. It showed that brahmi has a significant effect on people’s ability to remember new information, although it does not affect a person’s ability to retrieve information that was known prior to the experiment. Age. The elderly can be taught simple techniques to remember things better such as repeating a person’s name several times, using word association, or jotting things down in a notebook. Depression. Depressed patients often show enhanced memory function after they are successfully treated for depression. CNS infections. Patients need to be given effective antimicrobial treatment immediately to save them from death, significant brain damage, and profound memory loss. Trauma. Patients‘ memories usually return as they recover from the accident or injury. In some causes hypnosis is useful in helping patients retrieve traumatic memories without being overwhelmed by them. Alzheimer’s disease (AD). Such medications as tacrine or donepezil can improve memory and cognitive functions in AD patients. A patient’s prognosis depends on the underlying causes of his or her memory loss. Partial or complete recovery can be expected when the memory loss results from treatable causes such as depression or nutritional deficiencies. However, patients with such degenerative nerve conditions as Alzheimer’s disease are expected to have a slow, irreversible decline of both memory and cognitive function. Medical treatment with memory-enhancing medications and long-term care are often required. As of 2003, there are no effective treatments for memory loss related to Down’s syndrome. Although there is no realistic way to prevent memory loss due to sudden trauma, there are things a person can do to decrease or slow down age-related memory loss. Keeping the mind active by continually learning new things is an important strategy in this regard. By eating healthy and nutritious foods, taking nutritional supplements and antioxidants, reducing stresses at home and at work, and avoiding environmental toxins, one can slow or even prevent memory loss.